This male duck has the head color and shape of a Mallard. The bill is the shape and size of a Mallard, but the grayish blue color of a Northern Pintail. 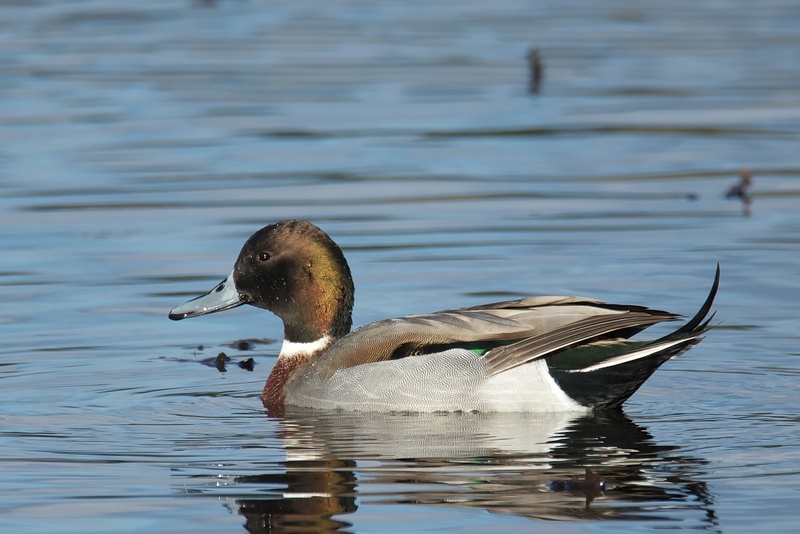 After the brownish breast of a Mallard, the body is almost entirely Northern Pintail, including gray flanks and back, green speculum (wing patch) and long black tail. Here are some BirdNote shows on the Mallard and Northern Pintail.